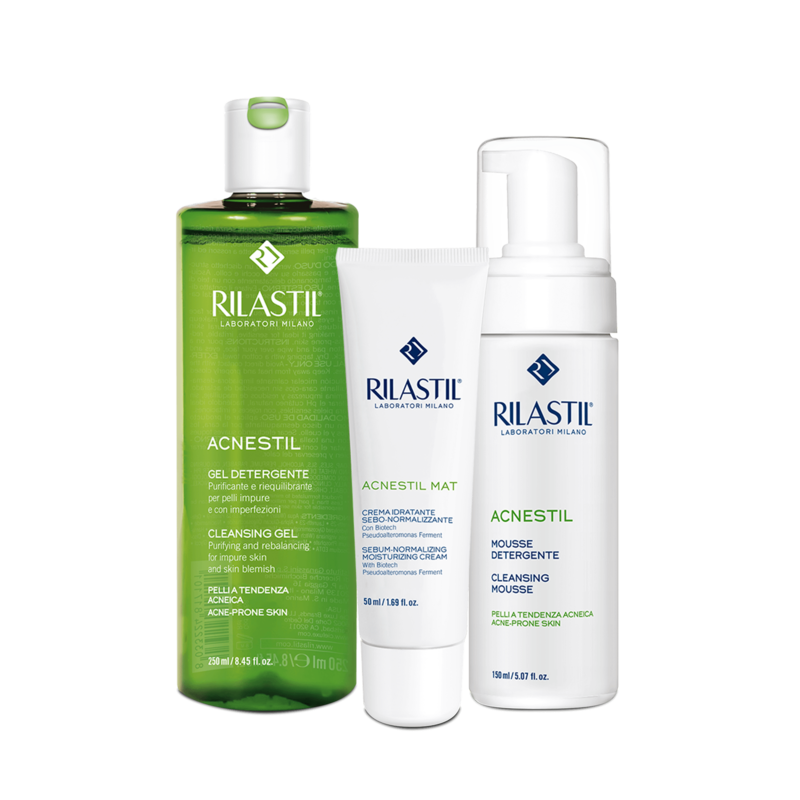 Combined treatment for oily, mixed and acne-prone skins, formulated for the treatment of light and moderate acne and active on the biological causes responsible for the lesions: hyperactivity of the sebaceous gland, hyperkeratosis of the duct, intensive pro-inflammatory action, inflammatory phase. 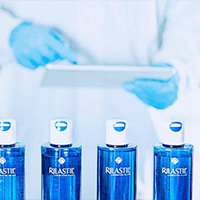 With Oligopeptide-10, molecule with antimicrobial and soothing properties able to penetrate the bacterial barrier, it inhibits the release of pro-inflammatory toxins. It is particularly active against PROPIONIBACTERIUM ACNES.